Saturday, March 25th at 1:30 p.m.
“Are we alone?” Recent headlines from NASA confirm scientists’ discovery of the existence of three planets firmly located in the habitable zone, the area around the parent star where a rocky planet is most likely to have liquid water. We now know of thousands of planets around stars other than our Sun. These extra-solar planets, or exoplanets, are highly diverse and exist in almost every conceivable form. In order to fully understand these exciting objects, we also have to learn about the stars they orbit and how the stars can impact the evolution of their exoplanet satellites. On Saturday, March 25th at 1:30 p.m. at the Essex Library, Wesleyan postdoctoral researcher in astronomy, Wilson Cauley will talk about this relationship for a variety of different types of exoplanetary systems, including what these interactions imply for exoplanet atmospheres and the potential for life to thrive on these alien worlds. Saturday, November 5th at 1:30 p.m. The Essex Library will welcome theoretical physicist Nikodem Poplawski for an illustrated talk on black holes. Black holes are regions of space from which nothing, not even light, can escape because gravity is too strong. They form from the most massive stars or at the centers of galaxies. When the contracting matter in a black hole reaches extremely high densities, the quantum mechanical property of elementary particles called spin turns gravitational attraction into repulsion (torsion). The matter stops collapsing, undergoes a bounce like a compressed spring, and starts rapidly expanding. Extremely strong gravitational forces at the bounce cause an intense particle production, increasing the mass inside a black hole by many orders of magnitude. The region on the other side of the black hole’s event horizon becomes a new, growing universe. Accordingly, our own Universe may be the interior of a black hole existing in another universe, with the Big Bang being replaced by a Big Bounce. Forbes Magazine has called Dr. Poplawski a potential future Einstein for his theory that every black hole is a doorway to another universe, one of the top 10 discoveries of 2010. Dr. Poplawski has appeared on television’s Discovery Channel and Science Channel. Click here for a a more in-depth explanation of black holes. 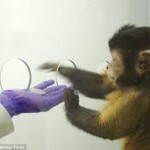 Monkeynomics: Are Human Brains Wired to Make Bad Money Choices? What domains of knowledge are unique to the human mind? Given that human infants and non-human primates both lack language, what similarities and differences do we see in the expression of non-linguistic domains of knowledge? (Hint; we’re more alike than you might think!). Dr Lori Santos, research from Yale’s Comparative Cognition Laboratory will talk about her research into human/primate decision-making using capuchin monkeys. Posted in Programs, Science For Everyone Series, Technology, Young Adult Program | Comments Off on Monkeynomics: Are Human Brains Wired to Make Bad Money Choices? Are We Prepared for the Next Great Pandemic? The movie Contagion, about the next great pandemic and the chaos it creates, was fiction – but was it a realistic scenario for how such a mass contagion could really play out? Yale’s Dr. Steven Latham, Director, Interdisciplinary Center for Bioethics, has studied this question extensively — and the answer may alarm you. Join us for this important and thought-provoking talk at Essex Town Hall. Part of the Science For Everyone Lecture series, sponsored by a generous grant from BrandTech Scientific and VacuuBrand Companies. 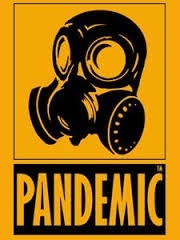 Posted in Adults, Programs, Science For Everyone Series | Tagged Essex Library Association, Pandemic Program, Science For Everyone, Science Program | Comments Off on Are We Prepared for the Next Great Pandemic?